Our BLADE for Business team is dedicated to the unique requirements of corporate clients seeking to charter or crowdsource aircraft to any destination. The Sikorsky S76 C++ is the primary equipment dedicated to BLADE for Business. 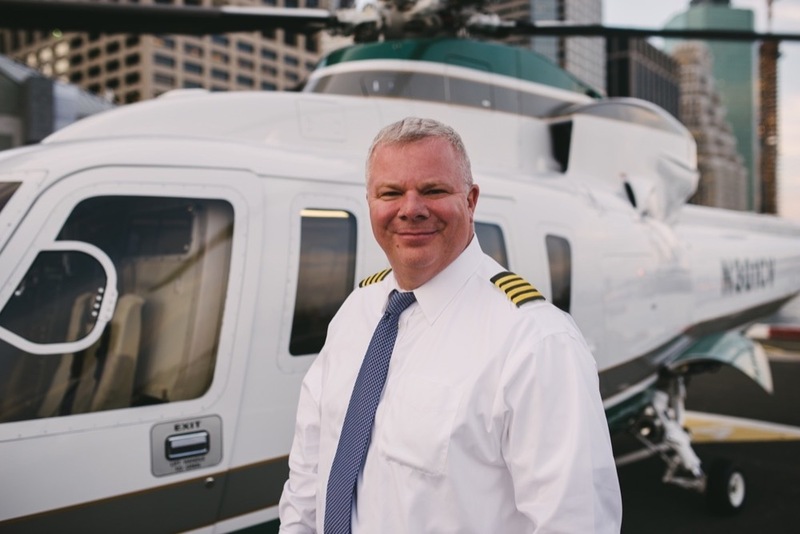 Key helicopter destinations include Boston and Washington, D.C. (both slightly over one hour from Manhattan, includes Ronald Reagan Washington National Airport), Providence (55 minutes), and Philadelphia (30 minutes). Airport transfers for up to eight can be accomplished in as little as five minutes to all New York City airports, including all private airports (such as Teterboro and Westchester) where we guarantee that you will land or depart directly from the side of your awaiting or arriving private jet. Since your helicopter flights depart directly from one of three Manhattan BLADE Lounges, travel times to key destinations are significantly reduced compared to commercial flights, the Acela railroad, and private car services. Companies who join the BLADE for Business program enjoy corporate rates on all business travel as well as numerous leisure travel benefits for their employees, including preferential pricing for destinations such as the Hamptons, Nantucket, the Jersey Coast, and Miami, as well as airport transfers to New York and Los Angeles commercial airports. Planning a golf or corporate outing? Given our vast network of resort and golf property relationships, we have the unique ability to fly you directly to the course or resort and land on-property. BLADE has access to the most diverse fleet in New York, with a wide variety of helicopters, seaplanes, and other fixed wing aircraft suitable for any corporate mission. 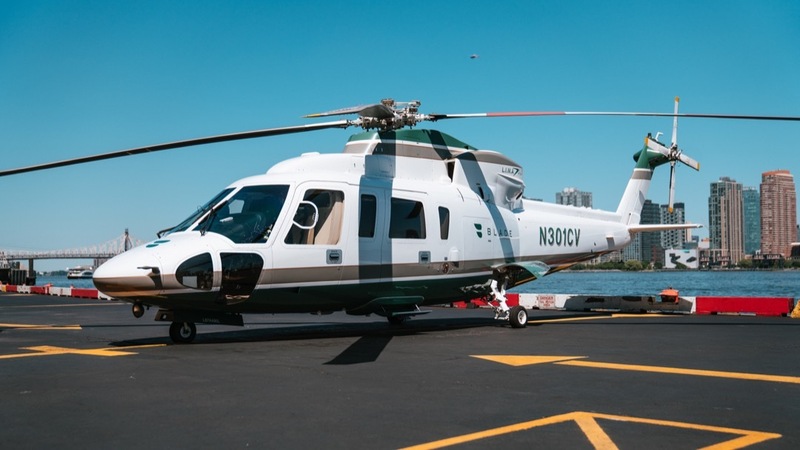 Beyond the Sikorsky S-76 C++, Blade for Business clients also utilize the Agusta 109SP, Airbus Dauphin, Bell 427, and Bell 407. Each of these equipment types reside in the accessible fleet and many are operated exclusively on behalf of Blade. The BLADE experience begins at one of our BLADE Lounges. We have four in Manhattan, one in Miami, and one in Nantucket, with others in production in Westchester and Los Angeles. BLADE lounges are staffed by our friendly and helpful C/X team members who will get you checked in and serve drinks and snacks before boarding your aircraft. Stay productive or relax after a long day of meetings, our lounges are perfectly equipped for both. Our lounges are also available for corporate events, where catering and customized branding are available. BLADE takes operating standards and flight safety extremely seriously. BLADE’s Chief of Safety, Edward Schulze III, has over 35 years of experience in military, police, counter-terrorism, and corporate aviation. Each of our operators are audited on a quarterly basis, vetted by BLADE and 3rd party rotorcraft industry experts, and are subject to a higher level of oversight by the FAA compared to operations in privately owned and operated helicopters. BLADE security and background check procedures are unmatched in the industry. Additionally, passenger and baggage weights are collected and verified to ensure they fall within the specifications mandated by the equipment manufacturer, our operator, and the FAA. Passengers are arranged in specific seat locations in the aircraft based on considerations for center-of-gravity, passengers size, and comfort. Use the link below or email business@flyblade.com to contact a BLADE for Business consultant who will help you design a corporate travel program bespoke to your company's needs.